I recently bought a set of wood coasters from Carina Sherlock in Armadale. 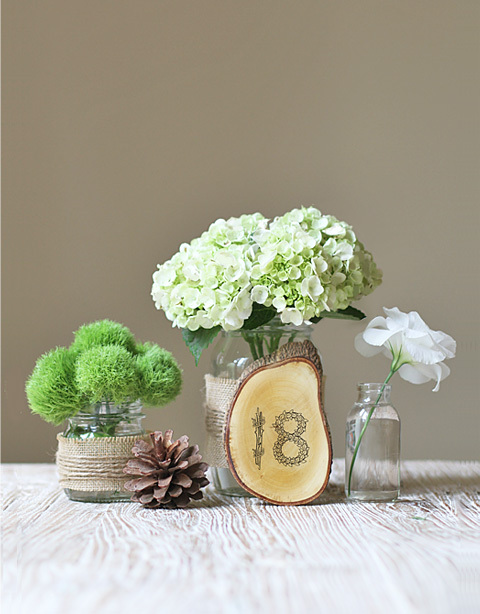 It struck me that they would look beautiful transformed into wedding table number signs for a rustic style wedding. 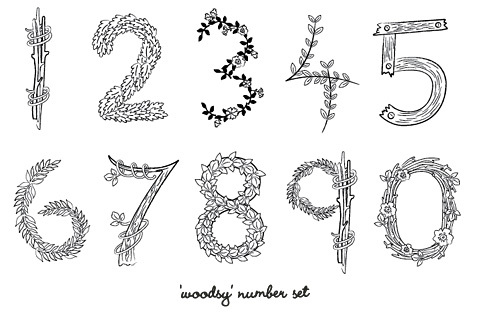 I thought they would look especially good when combined with a set of nature-inspired numbers I had recently illustrated. 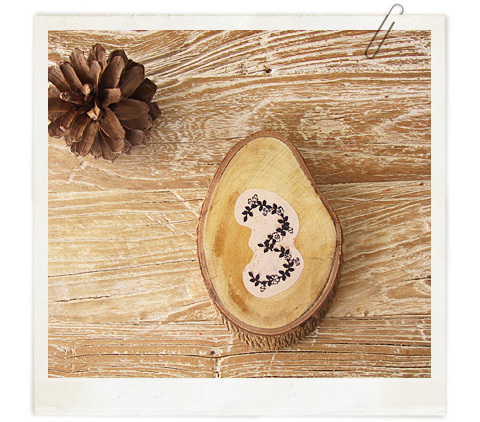 After some research I discovered that I could use Lazertran decal transfer paper to transfer the numbers onto the wood surface and successfully create the table number signs I had imagined! I purchased my Lazertrain paper locally from Eckersley's Art & Craft. You should be able to buy it in good art/craft stores near you or at the online Lazertran shop. Hickory Coaster Set from Terrain. 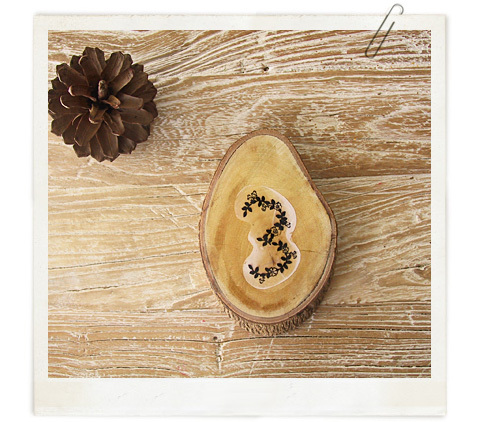 Rustic Natural Juniper Wood Coasters from Jasmins Treasures on Etsy. White BIrch Wood Coaster from Virtual Design Lab on Etsy. or save some money and make your own with this DIY Wood Coasters Project spotted at Earth Friendly Goodies. Print out your numbers onto the Lazertran paper. 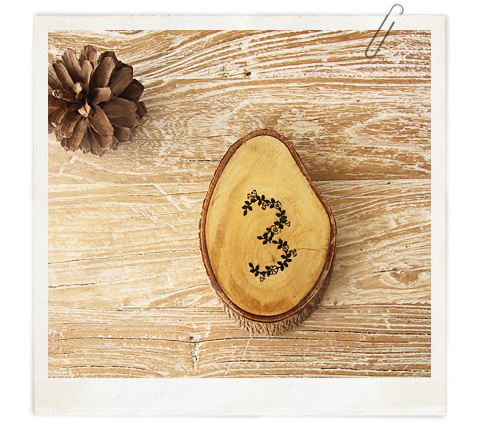 Use your scissors to cut around the edges of your number decal. Allow the ink to dry for 30 minutes or so. Soak the decal in water for 1 minute. (I've done this in the bathroom sink). This will help loosen the decal from it's backing. Retrieve your number from the water and remove any excess water. Slide the decal sideways slightly, away from it's backing (a centimetre or so). 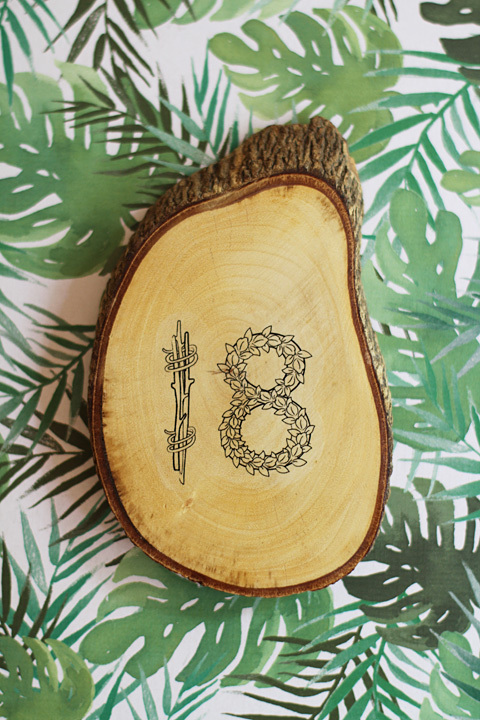 Stick the exposed edge of the decal to the surface of your wood (in the correct position) then slowly and gently slide the rest of the backing out from under the decal. The rest of the decal should now fall smoothly into place. 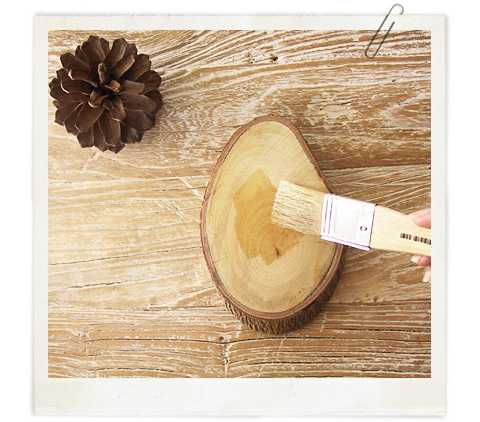 If there are any air bubbles you can use your brush and some turpentine to gently flatten them. However, don't use too much turpentine or the image will break apart! As the number dries, the edges will turn white. 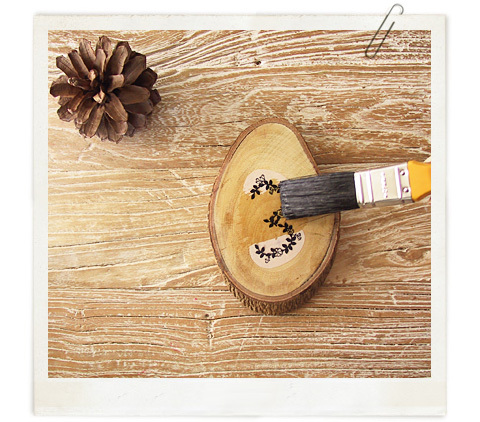 To remove the white edges and to stain your wood, brush on a couple of coats of oil-based polyurethane. Your finished piece should look something like this (above). I found the process a little tricky at first - you may wish to do a practice run. However it's really quite simple once you get the hang of it! 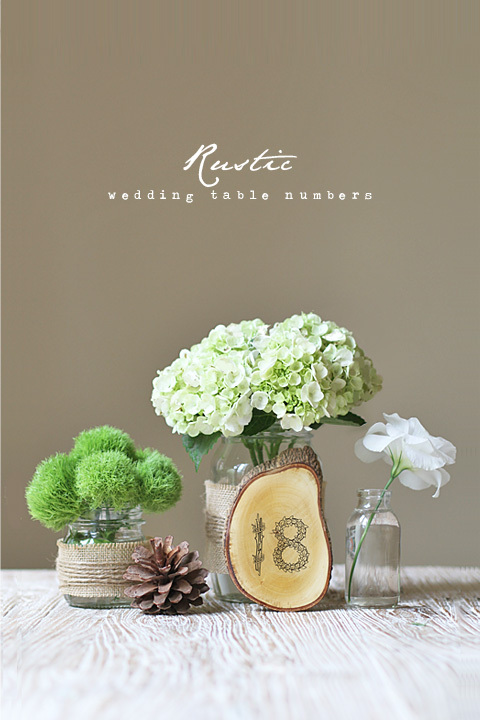 You can use your wood table numbers in combination with a rustic-style floral centerpiece. I've just propped it up against a jar. Thank you to Eat Drink Chic for this great idea!